Improve the tone and projection of your bass with this amazing device! 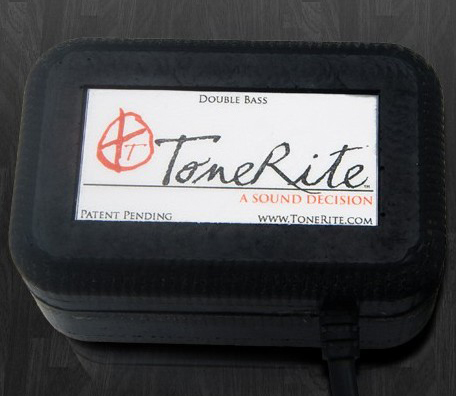 We have now released the all-new 3rd generation ToneRite® for Double Bass! These 3rd generation models are hot off the press and represent the newest and most advanced ToneRite® yet. Some of the improvements of the 3rd generation are provided below. All New Electronics! The ToneRite® electronics have now been updated to be better than ever. This update allows for much finer control over intensity and harmonic content while being in-line with the ToneRite® for ease-of-use. New Elastone™ Feet! After over a year of research, we are finally releasing our new Elastone™ feet. These feet not only fit better and are safe for long term use on instruments but also improve the energy transfer from the ToneRite® to your instrument. 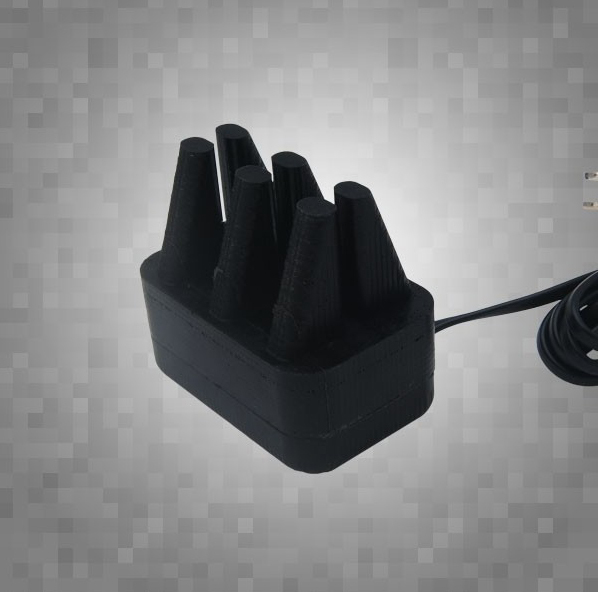 The result is a quieter, more efficient, and faster device. Environmentally Conscious Packaging! We are proud to say that all of our new packaging is made from post-consumer recycled materials and will be 100% recyclable. ToneRite® is trying to do its part to reduce our impact on the environment. We believe that providing ultra high-quality environmental friendly packaging that can be recycled will go a long way. 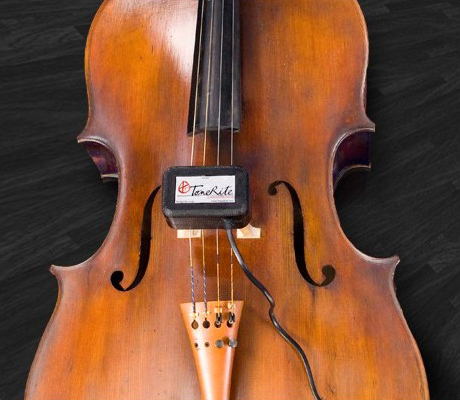 The Double Bass ToneRite® was initially developed as a custom product for a professional musician. After we finished the development, both luthiers and professional musicians who tested this version of the ToneRite® urged us to make it available to the public. Every aspect of the ToneRite® has been meticulously crafted and designed to ensure optimal performance and safety. The ToneRite® fits over the bridge of a double bass and transfers energy into the body via the same physics as when it is being bowed. The ToneRite® works by relieving the inherent tensions in wooden acoustic instruments. A new or even moderately played instrument has a tendency to have a lot of individual components that resonate independently. 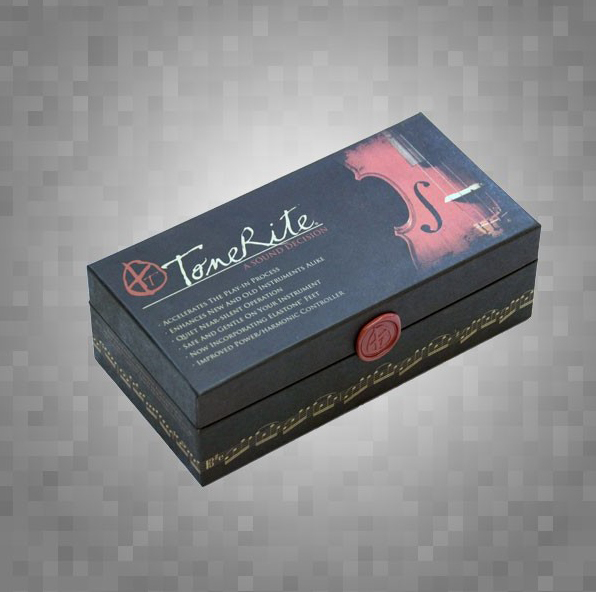 By transferring certain energies to an instrument, the ToneRite® will help the instrument to resonate as a whole. As a result, your instrument becomes incredibly responsive, problem notes improve, less bow pressure is required, the sound comes more quickly with less effort, and the overall quality of tone increases. An initial ToneRite® treatment of 72 hours is recommended. It will be the first step in achieving your instrument's top potential. Subsequent treatments will be required to maintain and further develop your instrument. The ToneRite® is not designed to make a poor instrument great, it is simply designed to bring out the best in an instrument. Your instrument will retain its individual character, with enhanced balanced tone and playability.